French industrial designer Patrick Norguet has designed a new reusable coffee cup that McDonald’s restaurants in France will soon give out for free to customers. Norguet has already worked with the company to redesign and modernize the company’s outlets in Italy, The Netherlands and Switzerland. 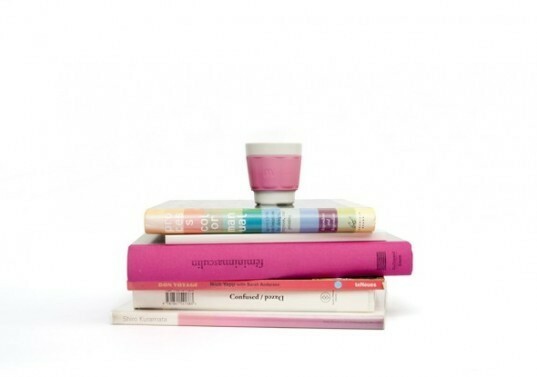 Coming off that success, Norguet came up with a line of colorful, reusable cups that not only reduce waste, but they also help prevent users from burning their hands. The attempt to roll out reusable coffee cups is an important step for McDonald’s waste diversion efforts. Since McDonald’s released its popular McCafe and new roasted coffee around the world, the company has seen a resurgence in sales and brand appeal and has given coffee chains like Starbucks a run for their money. But that success still means more waste that municipalities cannot or will not handle in their waste stream as landfill space comes ever more at a premium. Norguet has given McDonald’s in France a refreshing alternative to that drab throwaway foam cup. The reusable tasse, the equivalent of a short coffee size here in the U.S., comes in six colors that do not scream “golden arches” at the consumer. 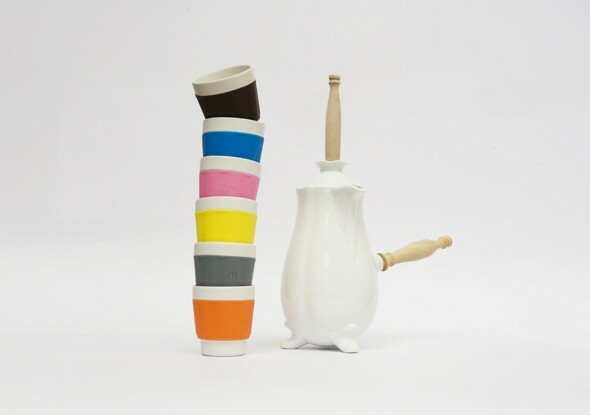 The ceramic cups, with a sturdy base and foam sheath that both protects the hand and provides easy gripping, come in vibrant hues of pink, yellow and blue or more muted grey and brown. McDonald’s France has requested 5 million cups that the company’s workers will give out free during an upcoming promotion. A few questions remain: Could the move to reusable cups extend to the U.S., where such a program is needed considering the millions of cups of coffee sold daily? Would consumers be open to such an idea and actually use such cups? And would an incentive of 10 cents off per cup influence visitors to bring their reusable cup for that cup of McDonald’s Joe? Working from a McDonald’s this morning, I brought my cup and asked the worker if he would fill it. He laughed. Hopefully this idea from France will catch on and become an entrenched habit everywhere.